← If you want to be happy DON’T have kids. Your skinny friend makes you feel fat. Your rich friend makes you feel poor. Your spiritual friend makes you feel empty. Your adventurous friend makes you feel boring. Your successful friend make you feel like a failure. Your creative friend makes you feel dull. Your happy friend makes you feel sad. It happens. And it happens to me more often than I would like to admit. And when it does I find myself turning into a person that I hate. I find myself making excuses about why that person is the way they are. “Oh she’s skinny because she doesn’t eat” or “yeah well of course she has money, her husband is a doctor.” And for the moment it makes me feel better. It’s like choosing a drive thru for dinner. You can find a million excuses why you should eat there. It’s quick, it’s easy, it’s cheap, you don’t have to go to the grocery store, you don’t have to cook, it’s already on your way home. And you know, those first bites are pretty good. But an hour later you are still hungry, you feel like crap and your stomach hates you. So when you “talk down” someone else’s happiness (or successfulness, or skinniness) it’s like fast food soul therapy. It feels good at the moment but in the end you are still found wanting. Raining on someone else’s parade won’t make yours any sunnier. So stop. Maybe she really isn’t happy, or her marriage is a sham, or her career is a flop, or she’s thin because she actually does have an eating disorder. If you found out that any of those things were true would it honestly make you feel better? Because it shouldn’t. You shouldn’t find justification in someone else’s misfortune. And you know, the truth of the matter is, none of us know the whole truth. We like to think we do but unless you are living it you don’t have the complete picture. So when it comes to someone else’s life stop worrying about it. And talking about it. And stressing about it. And don’t lose someone over it. Don’t let your insecurities ruin a relationship, or friendship, or potential friendship. Instead work on your insecurities. Focus on all the good and amazing things that you have in your life. Your friend might have a better job, a nicer house, a better body. But does that mean that yours is “bad”? And who is to say that theirs really is better? Do you love your job? Are you happy in your home? Do you like your body? If you answered yes then great and if you answered no then you know what you need to work on. Chances are if you step back and look at your insecurities you can find the source of your unhappiness. 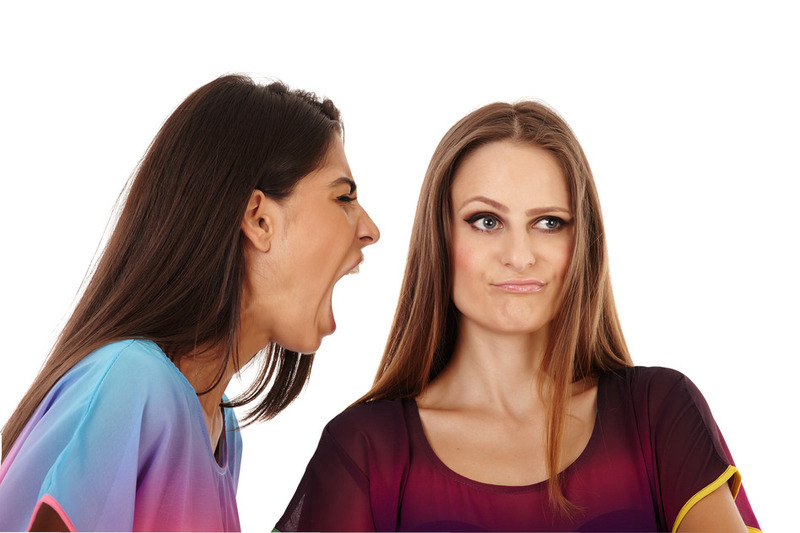 If whenever your friend talks about her relationship, or job, or home, or fitness routine, you find yourself cringing and internally eye rolling you might have hit the nail on the head about what is really bothering you. So pick up your figurative hammer and start demoing your own life instead of trying to tear down the walls of someone else’s. And stop looking over their fence. Every second you spend worrying about their grass is time you could be fertilizing yours. Maybe if we all used some manure in our own lawn instead of just trying to take a dump on someone else’s everyone would end up with greener grass. This entry was posted in Blog and tagged blog, friendship, inspiration, life, lifestyle, opinion, personal, relationships, thoughts. Bookmark the permalink. I have been struggling SO MUCH with this lately. This was a hard read because it was incredibly convicting. Thank you for making me feel less alone in this. Ouch. You got me good here, sister. Thank you for simultaneously validating my feelings and kicking my a** out of my own pity party.